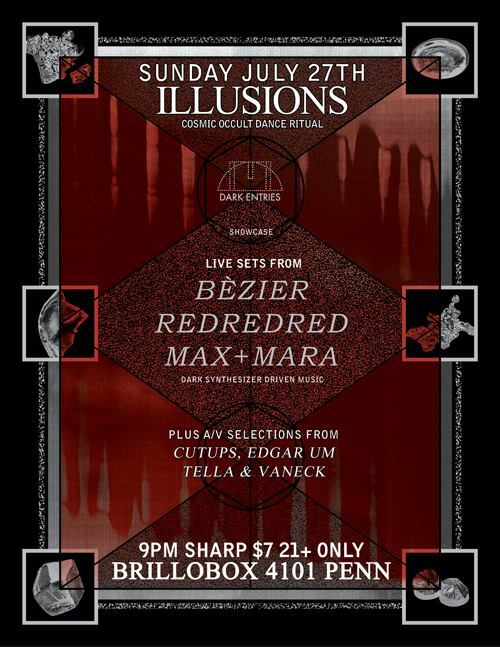 Bézier is the moniker of all-live-analog electronic wizard Robert Yang from San Francisco. Enchanted by the Cybernetic Broadcasting System (CBS), Robert started DJing as Robot Hustle, joining the Honey Soundsystem collective in 2007. Robert writes hooks, patterns and melodies in an automatic, stream of consciousness fashion. Memory and nostalgia play a big part in constructing his music. On “Less Ness” they worked with a hardware set up: 808 and Elektron drum machine, Moog, MAM, and Sequential Circuits synth with splashes of Mono/Poly and collage elements, vocoder lines and dubbed out vocals. They step away from the the computer as much as possible and prefer that their ideas can be traced back to the tools so that a sense of physicality remains. They find inspiration from all kinds of far out sounds, most notably dub, industrial, and various drug culture tangents. Lyrically the songs revolve around topics such as escapism, looking though cultural windows, and character role development. Some songs are a bit more surrealist in content with elements of hard realism and critical commentary. is a reoccurring night featuring live acts and djs touching on the darker side. a mix of live acts, djs, video, and installation, we try to feature the best of new and classic dark dancefloor sounds occult techno, cosmic disco, post punk, death rock, witch house, minimal wave, shimmering bass, haunted pop, dark alternative, etc. curated by cutups, edgar um, telladictorian and vaneck.